Having worked for some time in the new business realities fuelled by the digital workplace transformation, more and more companies start encountering fresh challenges. They understand that to achieve digital business maturity, it’s not enough to simply equip their workplace with the latest tech innovations. 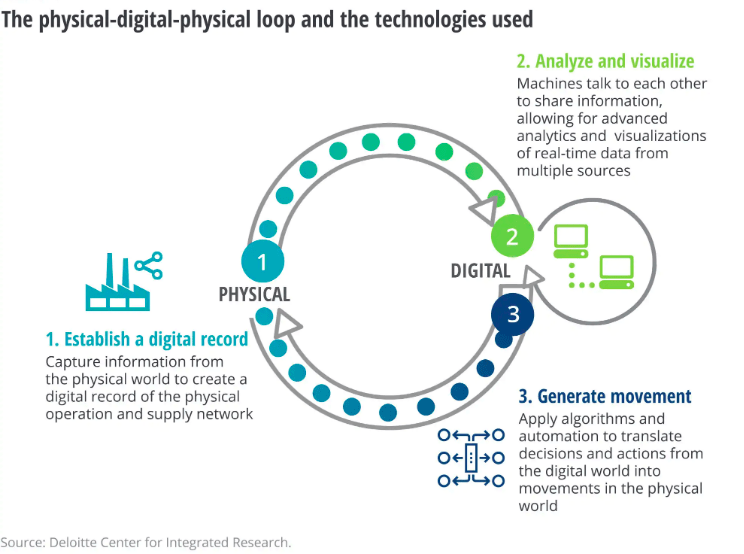 Recently, Deloitte has released the Industry 4.0. Paradox report that reveals a number of ambiguous challenges in several business pillars like strategy, talent, innovation, supply chains, investments in technology, and the physical-digital-physical loop. It turned out that the enablement of the digital transformation brings about contradictions related to which resources companies plan to invest in as well as what opportunities they need to embrace to become more flexible and adaptable. Since the findings of the report reflect our vision on how people and technology have to interact in the workplace to reach the best possible results, we decided to dive deeper into the talent paradox issue and share with you insights on how companies can sidestep this challenge and thrive in the digital transformation era. Since employees learn in-the-moment, ongoing learning is essential for the future of sustainable business. It’s no wonder that 90% of surveyed executives see the need to constantly update employees’ skills and expertise to not run short of talent. How else can they go through the digital transformation and stand up to the world of yet unknown job titles and responsibilities? The good news is that 85% of organizations say that they already have “exactly the workforce and skill set they need to support digital transformation.” However, when executives were asked what operational and cultural challenges are most commonly faced by their company, “finding, training, and retaining the right talent” was at the top of the list. How is that possible? In an attempt to explain this paradox, Deloitte isolated respondents’ views by “self-perceived interaction with digital technologies” in the workplace. It turned out that the more the survey participants used these technologies, the more positively they assessed the current state of talent. In a nutshell, the better employees are equipped with technologies and can easily navigate through them, the more competent they feel. In particular, Deloitte found that those who have little or no interaction with digital technology think that there’s a greater talent gap (43%) in their company. As it turns out, the fear of robotics and advanced technologies in the workplace is gone. Instead, as the digital transformation is progressing ahead, employees start to greatly tie their expertise to digital tech resources. This is the reason why companies invest more in “digital technologies that make comprehending and acting upon insights easier”, particularly, in big data platforms, according to the Deloitte report. That makes sense since having relevant data on hand eliminates the guesswork from the workflow, saves times, and increases performance efficiency. However, this data-driven business model is still in the process of being improved. Industry 4.0 and the digital workplace transformation represent “a continuous loop of information and action between the physical and digital worlds”, as the Deloitte report says. This cycle consists of three iterative steps related to data collection, data processing, and generating actions out of the attained results. According to Deloitte findings, 90% of companies collect data from the physical world, but only a bit more than a half (54%) can drive informed decision-making and actions afterward. In addition, 45% don’t even have the capability to do so. Most significantly, the report highlights that only those companies that invested in digital platforms aimed at helping to translate data into action have significantly grown their ROI. Isn’t that the reason why a lot of organizations increased their L&D budgets for 2019 to obtain a data-driven learning solution? If L&D professionals resort to data-driven learning platforms while developing training programs, then there’s zero chance of facing the talent paradox in their company. The third stage. The obtained data turns into personalized recommendations at a scale tailored to each employee (e.g. based on customer feedback stating that a barista kept failing to make a chai latte, the platform offers to show him a microlearning video on how to prepare the drink with a detailed description of each step). Moreover, at this stage, L&D professionals can also introduce changes to their training program if they see that certain learning activities are confusing or difficult for their employees. This way, data-driven talent development grows business ROI as well as facilitates the process of workforce upskilling to meet the future needs of a company. Consequently, this makes organizations more responsive and flexible to external changes. If you want to turn your data into actionable steps for your people, request a demo of Rallyware’s smart learning solution!